On the night of June 15th, thousands of people committed criminal acts, destroying property, stealing property, and assaulting those who got in their way. It became, by many measures, the largest crime spree in the history of B.C. The statistics are staggering and continue to grow. You have all been given a separate fact sheet with those stats. The Integrated Riot Investigation Team, made up of eight police agencies, has done an incredible job handling the largest investigation in our city’s history. It’s been daunting, time-consuming and exhaustive. But we knew it would be. On the morning of June 16th, while burned cars were being towed and broken glass swept up, we made a decision. We decided then that we owed it to the victims of this crime and the outraged people of our community to do the right thing. That meant we were making a commitment to pursue the rioters, and to use new approaches to identify them and to bring before the courts the full extent of the crimes committed by each rioter to ensure the most serious sentences. Over the past few months, there have been those who told us that our decision to be thorough was wrong. They urged us to rush cases to court. But we believe the public expects more from the police. We believe the community supports the independence of the police and our professional judgement to conduct thorough investigations, not cut corners in order to satisfy the vocal criticisms of a few. The decision we made on June 16th has led us to today. 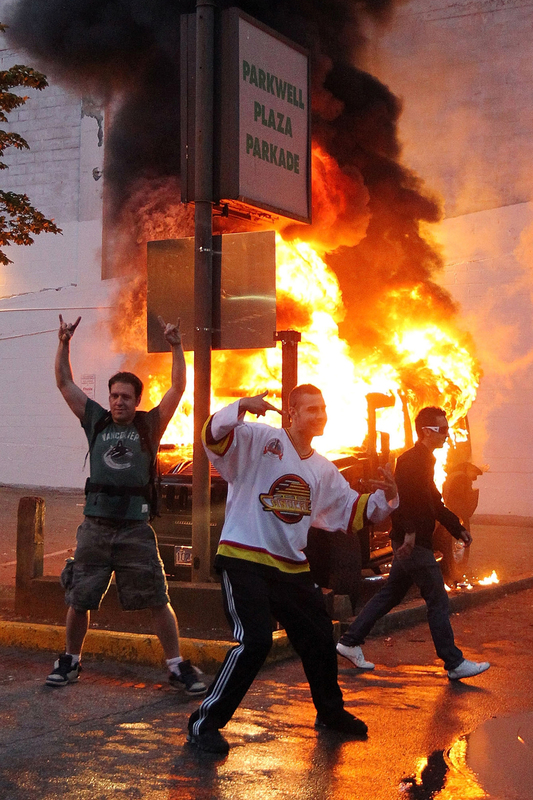 I am very pleased to tell you that we have been arresting suspected rioters and recommending charges to Crown Counsel. So far, 60 people have been identified and we have recommended that each of them be charged with participating in a riot along with other charges of mischief, assault, break and enter, and other charges. There are a total of 163 charges recommended for these individuals. This is just the beginning as we expect to announce more arrests in the weeks and months ahead.